This document explains and demonstrates the Show/Hide Toggle functionality. 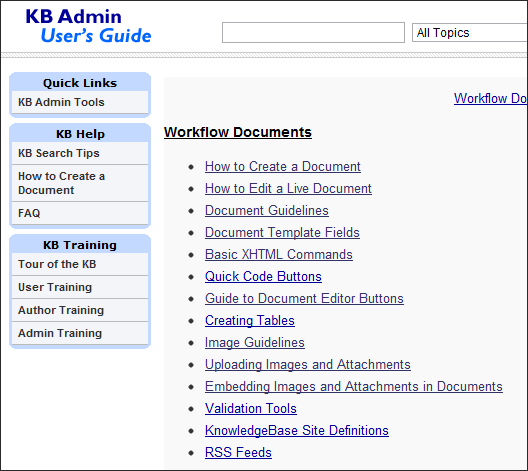 This functionality allows document authors (in HTML editor) to create expandable and collapsible sections in KB documents. Click the plus signs below to expand the example sections below. Once expanded, click the minus sign and the section will collapse. This is a paragraph of text that can be shown or hidden by clicking the plus sign. Note the little bullet here because the class attribute was not used. This is a paragraph of text that can be shown or hidden by clicking the plus sign. The id="toggle#" attribute must have a unique number (from 0-80) for the Show/Hide Toggling to work correctly. See source code examples in this document. Show/Hide Toggles available only in HTML editor mode (not WYSIWYG). Please note that show/hide toggles do not work in this preview window as they do on review or live pages.